Just looked. Yes, I did! Don't know if it has happened before. I got a $0 credit for an ineligible loan as well. I haven't even purchased any notes in over 2 years. Ah, I checked and also have 4 manual adjustments the day before for about $3. Curious, but I'll wait to see if any more appear. You had the opposite problem I had ... I noticed the total number of notes in my account decreased by two, but I didn't no where they went. After some research (see my thread a couple down from yours out on the same board), I learned 2 were removed for ineligible. I called support and LC did some type of audit about a week ago and found some fraudulent notes. LC removed these notes and credited accordingly, but I found all of mine in my May statement, and they were fully paid. So essentially even though the loan met their fraud criteria to remove them out of their system, it was removed and I wasn't credited anything either. 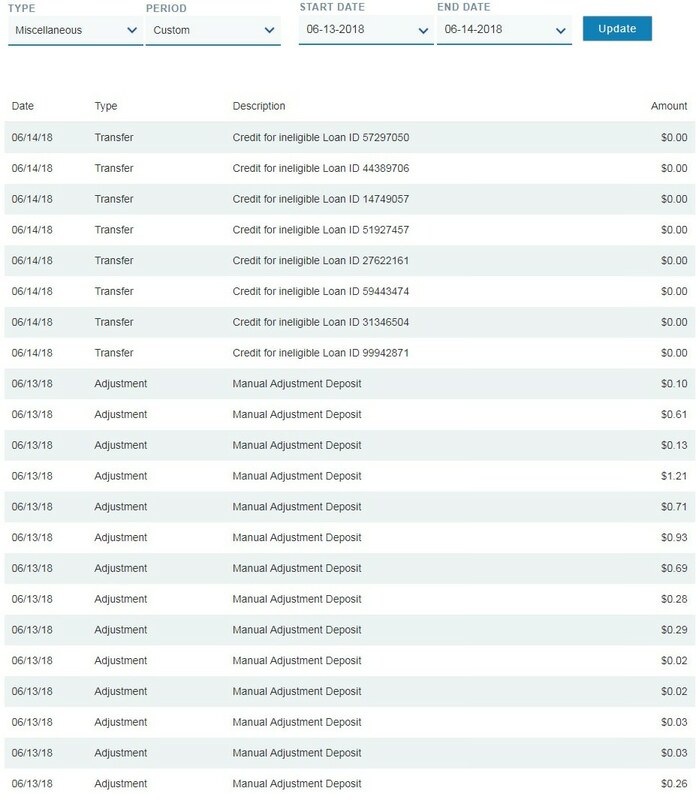 If you look at your May 2018 statement online, you should be able to find the loan numbers in it - and if they were all $0 credits, then you should find they were already fully paid (and therefore you didn't lose any money on them). You will find the notes are in order in the PDF file, but there are two groups. I would assume if they had been partially paid back, and they had to remove for this same reason -- they would credit back the amount left to be paid back.